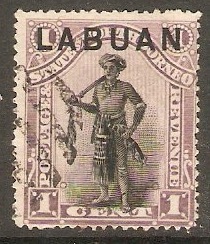 Labuan 1894 1c Grey-mauve. SG62. Fine used 1894 1c Grey-mauve. SG62. Marked CTO. 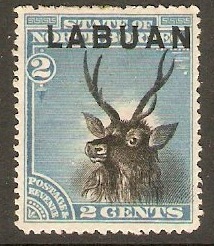 Labuan 1894 2c Blue. SG63. Unused 1894 2c Blue. SG63. 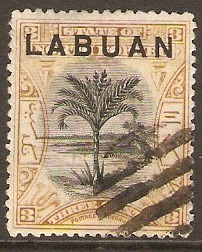 Labuan 1894 5c Green. SG65. Heavy mounted mint 1894 5c Green. SG65. 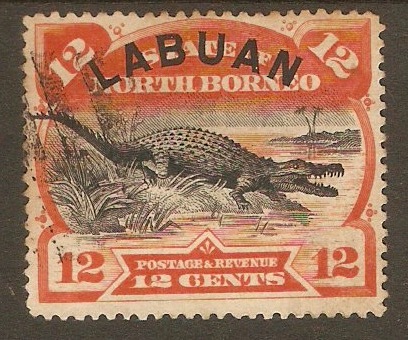 Labuan 1894 12c Orange-vermilion. SG70. Fine used 1894 12c Orange-vermilion. SG70. Marked CTO. 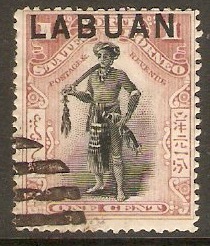 Labuan 1897 1c Dull claret. SG89. Fine used 1897 1c Dull claret. SG89. Marked CTO. 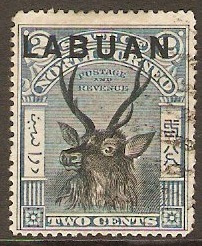 Labuan 1897 2c Blue. SG90. 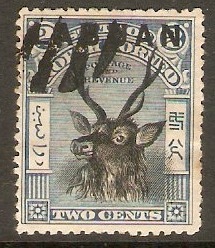 Used 1897 2c Blue. SG90. Marked CTO. 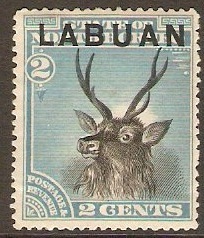 Labuan 1897 2c Blue. SG90c. Used 1897 2c Blue. SG90c. Perf 14½ - 15. Marked CTO. 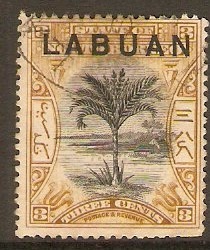 Labuan 1897 3c Ochre. SG91. Fine used 1897 3c Ochre. SG91. Marked CTO. Fine used 1897 3c Ochre. SG91. Marked CDS. 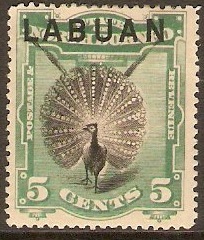 Labuan 1897 5c Green. SG92a. 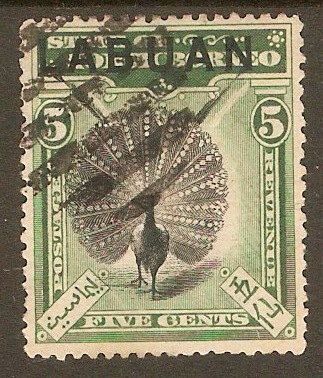 Fine used 1897 5c Green. SG92a. Marked CTO.